Do You Want to Know Our Secret? The Lang Team Has the Best Clients in the World! As an agent for the world’s #1 Century 21 Office*, with a POWERHOUSE TEAM, I am able to offer my clients a wealth of resources in a One Stop Shop to get the job done. Resources include top notch: Financial Services, Title Services, Marketing Services, Customer Service, Media Services, Appraisers, Inspectors, Contractors, Builders, Investors, Property maintenance Structural Engineers, Foundation Repair, Home Warranty Companies, and much more. Whether you are selling or buying a home, put the Lang Team to work making your real estate dreams come true. We are equipped and ready to handle every detail from the tiniest to the most challenging so that you don’t have to. Call today for a free market analysis of your property. It would be my pleasure to serve you! You too can be another happy client. Tanya made excellent recommendations every step of the way and made the process easy for us. I couldn’t be happier with our entire experience. Tanya has the patience of a saint and helped my wife and I keep our cool during what could have been a stressful process. Yesi and Tanya are an awesome duo. Yesi went out of her way to help us. She’s as much of a fun people person as Tanya! I don’t think there’s enough thanks I can give to Tanya and Yesi. They really helped us make informed decisions and walked us through the technical jargon and were just fun to work with. Tanya was awesome! She went above and beyond to make me feel comfortable with the whole process. She was quick to respond to my questions and patiently explained anything I was confused about. She is very knowledge about the Fort Worth area and the market. I would have no qualms about using her again! Top Quality service was given by Tanya! I would definitely recommend her to anyone looking to buy a home. Tanya Lang came highly recommended by a family member who had worked with her in the past. Tanya was friendly and professional and very helpful in providing advice about the market in the area and community that I was most interested in. Tanya quickly understood what I was looking for in a house and offered sound advice every step of the way. She constantly represented my best interests during the negotiation of price and terms. Her great attention to detail resulted in everything going very smoothly during the negotiation, option period, and at closing. I will definitely recommend Tanya Lang to friends and family looking to buy or sell a house! Tanya Lang is amazing! She is so personable and prompt! She made the house buying experience easy! Our first visit with Tanya was very encouraging, she was very knowledgeable, honest with expert opinion, without being overbearing. This lady knows what she is talking about and how to sell a house! She had several ideas on getting my house on the market and getting it shown. We listened to her advice and did exactly what she said, which was a lot of work, but, then we had a lot of things to do on our part to get our home in tip top shape,to get as much $$ as we could, but it was definitely worth it and it paid off, she never gave up and we made a good profit. On the purchase of our new home she was right there beside us making sure we got the most for our $$. 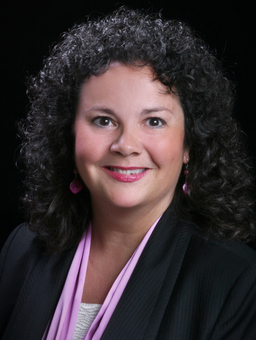 We highly recommend Tanya Lang, she made selling our home a great experience! We would use her again!! Tanya is nice, knowledgeable, flexible and willing to go the extra mile! She was so patient with us, and encouraging throughout the process. She made us feel comfortable and at ease in our home buying process. I would recommend Tanya to any of our friends, she is a great and caring real estate agent! We originally spoke to Tanya by inquiring about a home online. This was our first experience at buying a home. Before buying a home, we spoke to family and friends about what to expect in the home buying process. They pretty much summed it up as a stressful process. This was not the case for us. From start to finish, Tanya and her staff made the process of buying a home easy and stress free. She was very patient and listened to all of our wants and needs in a home. Her response time was immediate because she knew that in today’s real estate market, homes come and go. She was very aware of our budget. She did not try to point us in the direction of buying a home that was too much for us. Tanya has integrity, credibility, and accountability. But on top of it all, she is a very nice person that knows the market. We will recommend her to all of our friends, family, and co-workers. I just hope she is available when we decide to upgrade to another home! Thank you for everything you have done for us! Please do not retire!